Explore the common myths and misconceptions. Should you pay for software implementation? Software implementation isn't just an optional extra; it's required for successful system usage. 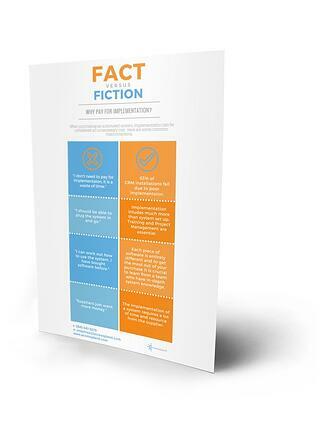 Our visual guide confronts the myths and misconceptions you've probably heard, to find the hard facts surrounding software implementation. "Implementation is a total waste of time." "All software is the same, I just know how to use it." "It's just an unnecessary cost because suppliers want more money." Get your hands on this informative infographic and discover the real facts about training software implementation.